East Coast singer songwriter Kylie Fox offers something bold and charismatic. 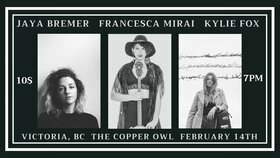 She has crafted an eclectic sound positioned in the Folk-Canadiana sector of singer songwriting, a sincere lyricist related subject matter of tree planting, travelling and millenial hood. Since the release of her first project BalconyEP(2017), she has been charting on campus radio charts, charting 6th on the National Earshot! Twenty Folk and Roots Charts, and has received airplay on CBC radio, Country 94.1(Saint John) and Hot Country 103.5 (Halifax). Her live show has charmed audiences across Canada with her energy, humour and warmth. Kylie has recently concluded her "Grampy's Lexus Tour" (New Brunswick, Quebec and Ontario) and begins her "Wild Vest Tour" (Alberta and British Columbia) in February, 2019. Jaya recently finished recording her debut solo EP at Infinity Studios in Victoria, BC, which is expected out in March, 2019. Jaya has sat in as a vocalist on albums What I thought I knew by Nick Mintenko, The Leaks self-titled EP, and Godless by Man Made Lake. She has been a featured artist at the TD International Jazz Festival for the last two years. 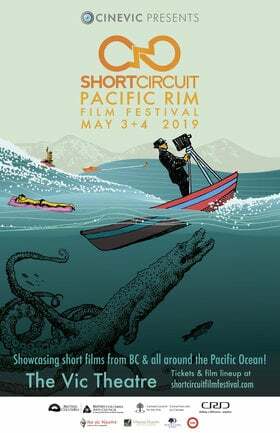 Wise Child has played festivals Song & Surf in Port Renfrew and Phillips Backyard Weekend in Victoria and was named a Vancouver Island regional Semi-Finalist for CBC Searchlight in 2017. Their EP Lucky You reached #116 on Canada-wide college radio for January 2017. Francesca Mirai is a powerful song-bird-of-prey whose songs evoke the open road, the roaring sea and the soaring sky. Gritty folk instrumentation meet classical and experimental vocals to produce a haunting sound, ancient yet familiar. Francesca’s deeply personal songwriting, with focus on themes of love and grief, has evoked adoration from listeners across Canada and the United States. 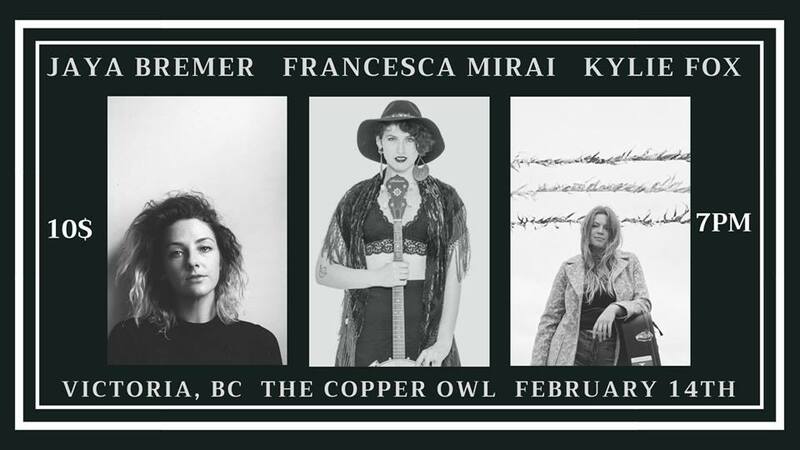 Francesca is the singer-songwriter-banjoist for the witch-folk project Ghostly Hounds and has toured Canada from coast to coast playing roughly 200 shows from PEI to Vancouver Island.